We caught up with Amy, who recently studied for an undergraduate LLB degree at UCL. Amy opened up to The Lawyer Portal about the best and most challenging parts of LLB degree study, the motivation behind her decision to study law and what to expect from the course! What made you want to study an LLB degree? There was never really one particular subject that I was better at during school. I enjoyed written subjects like English and History, but also liked languages, Maths and Sciences. I thought I would enjoy a subject that would allow me to pursue a career involving critical thinking, advocacy and negotiation, such as law. Law is a great choice for an international career too. I also completed some work experience in a chambers whilst I was at school. This helped me to become more familiar with the role, lifestyle and daily practises of a barrister. From there, I knew I wanted to qualify and practise as a lawyer in the future. What are the best bits about studying an LLB degree? Being challenged and under pressure always keeps me motivated to work hard. This was an aspect of studying law that I liked. I also enjoyed learning a subject I had never studied before, and how applicable it is on a global scale and to everyday life. Going to university in Central London was really good fun too. I got to enjoy the best parts of the City and had fun outside of uni. I also met such a range of people, and my university was very international. What are the most challenging bits about studying an LLB degree? Studying for an LLB degree requires you to be very self-motivated. You will have long reading lists to keep on top of, including cases and judgments and chapters from textbooks. Falling behind with your work is really stressful, so it’s good to be organised. You will also have a lot of essay deadlines, so you have to put in time to research and write your essays. Overall, there is a lot of reading and a lot of work you have to do to keep up – so make sure you are willing to work hard! What skills do you need to employ to successfully study an LLB degree? Studying for an LLB degree can be quite disheartening if you fall behind. It is important to be very organised and make time for your tutorial preparation, essays and pre-lecture reading. It is also really important to ask for help if you aren’t understanding the syllabus content. The tutors and lecturers are there to teach you and it’s always better to ask and clarify things if you are struggling. If you understand what you are learning about, you are more likely to enjoy it too! How do you manage your time during an LLB degree? It is really important to prepare for tutorials. It’s useful to go to the university library after lectures and do some work whilst you are on campus. I spent a lot of time in the library preparing for exams too. It really forces you to get work done. However, I think it’s really important to balance your academic studies on the LLB degree with a life outside of university. Make sure you have some down time to socialise and exercise outside of study time. What does a typical day studying an LLB degree entail? My timetable meant that I didn’t have a lot of in-class hours at university. I only had to attend four two-hour lectures, and two tutorials a week. This meant that I had to do a lot of reading and preparatory work outside of classes. It was really important to make sure I had prepared for tutorials because you have to answer questions and go through problems in class with your tutor. Lectures were for the whole of the course (approx 250 people). In lectures I did all of my note taking on my laptop, and all the course materials were on the uni intranet too. I also had a completely free day during the week on my timetable. That was nice to have a break from lessons and catch up with work or friends. What extra curricular university activities can you get involved in to start building up your legal work experience? My university had a popular mooting society, and there were lots of competitions to get involved in. I think mooting is really important to show your interest in law, particularly to future employers. 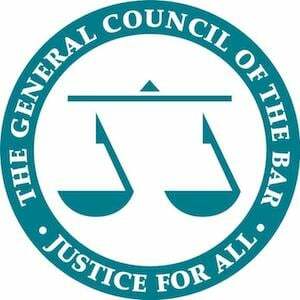 It is especially appealing to BPTC providers and chambers if you are planning on pursuing the route of a barrister. It’s great advocacy practice too. There are lots of law fairs through university too, some have lots of law firm stalls whilst others are aimed at chambers. It’s a really good idea to go along and get more of a feel for future career options! It’s also really beneficial to meet the law firms and chambers. Get expert training on the LNAT exam and boost your score on the test needed to apply to law at top UK universities!